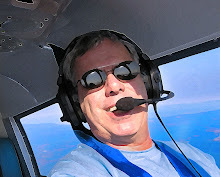 As an aviation journalist, there’s no story worth more coverage than EAA AirVenture Oshkosh. You can’t walk five feet at the show without running into the next big thing, and stories about colorful aviators from yesterday, today and tomorrow are everywhere you look. My trip to AirVenture had two specific goals. First, I wanted to interact with readers and receive some honest feedback. What are we doing right and what needs improvement, these are questions I needed answered. I also wanted to see if our mission of presenting stories of GA advocates, activists and volunteers was resonating, if it was the right path to continue traveling. 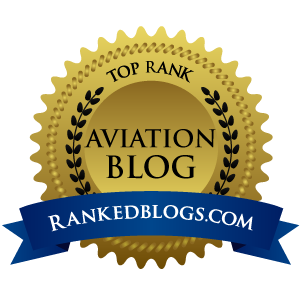 I’m happy to report that not only was this theme resonating with readers, everywhere I went at Oshkosh, it was strongly confirmed that if there is one issue that is on the minds of every pilot, it is GA advocacy. I was thanked endlessly for the effort Airplanista is making to support those who work to build a stronger aviation family. At the #Oshbash Tweet-up held at AirVenture, it was clear that this magazine is succeeding in bringing people together. The near-capacity crowd in the EAA Press HQ Media Tent heard from two people who are working to use aviation as the tool to create a better world or to do something wonderful. It was a joy to share the EAA microphone with Matt Pipkin and Julie Vessigault. Both are the kind of “Airplanistas” that this magazine is meant to honor. The second reason I went “all in” at the show was to announce some new strategies designed to generate the funding needed to continue production. Successful meetings were completed with “A” list individuals and major companies that should lead to a strong financial future of this publication. 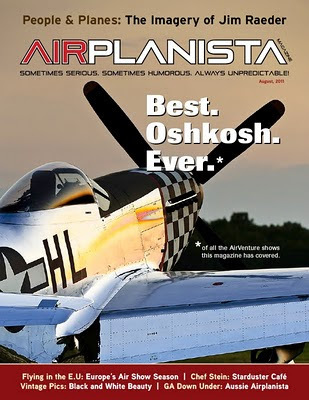 After Oshkosh, I’m more confident than ever that when it comes to celebrating those people in aviation who have devoted their lives to pushing this community forward - the true “Airplanistas” among us - our magazine is starting to own this niche.